Dr. Kim graduated the University of Illinois Veterinary School in 2003. She immediately joined the practice as an associate veterinarian. In 2007, she became a co-owner/partner with Dr. Crank. In 2008, she became the sole owner of the practice when Dr. Crank suddenly passed away. Dr. Kim is a member of the American Veterinary Medical Association and Illinois State Veterinary Medical Association. Dr. Kim’s interests are in general medicine, with a focus on internal medicine and endocrinology. Dr. Holly graduated from St. Georges University School of Veterinary Medicine in 2006. She practices full time in Decatur and part time at our clinic. She joined our practice in 2009. Dr. Holly is a member of the American Veterinary Medical Association. Debbie has been with the practice from 1985 to 1989, and 1997 to present, taking a hiatus to care for her family. Debbie likes working with the public and playing with cute dogs and cats. She resides in Paxton with her husband, 2 children, a daschund named Dottie and a cat named Cookie. 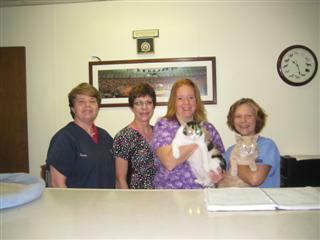 Carol has been with the practice since 2001. Carol enjoys assisting the doctors with caring for patients. Jackie has been with the practice since 2010. Jackie finds it very rewarding working here and helping to care for sick animals. 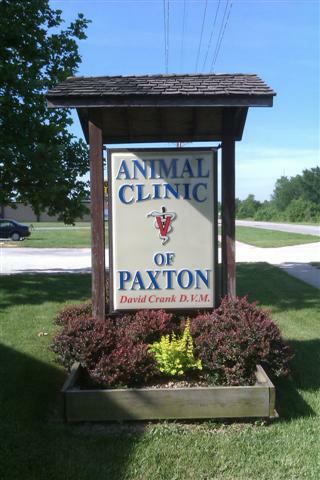 Copyright © 2011 Animal Clinic of Paxton. All Rights Reserved.